It's no secret that 401(k) fund options are notoriously opaque. While target-date funds provide convenience to investors, they often come with higher fees than alternative investment vehicles, have highly variable returns, and aren't a good fit for many retirement savers. Let's simplify things, and review a low-stress strategy for building a solid two-to-three-fund portfolio for your 401(k). However, all that convenience comes at a high price. A 2015 review of over 1,700 target-date funds by FutureAdvisor determined that their average expense ratio (the annual fee charged to shareholders to cover operating expenses) was a relatively high 1.02 percent, meaning that you'd pay $51 every year for every $5,000 in your balance. Assuming an average investment return of 7 percent per year, you would miss out on an extra $4,998 in retirement savings over a 30-year period. On top of high fees, some target-date funds' returns barely cover their high annual expense ratios. The same review of 1,700 target-date funds pointed out that the lowest five-year average annual returns were 2.9 percent. (Returns are expressed net of expense ratios.) As of September 2017, 2.9 percent is not that much higher than the rate of a five-year CD at a credit union. Here's a better alternative to target-date funds. More and more 401(k) plans are offering passively managed index funds that track a benchmark, such as the S&P 500. And for good reason: The Vanguard 500 Index Investor Shares Fund [Nasdaq: VFINX] has an annual expense ratio of 0.14 percent, just a $7 annual fee for a balance of $5,000. That's $44 in annual savings when you compare it to a target-date fund with a 1.02 percent annual expense ratio. Let's use Buffett's advice to build your 401(k) plan's portfolio. There is a good chance that your 401(k) plan offers a low-cost S&P 500 index fund. Buffett personally recommends an S&P 500 Vanguard index fund. Vanguard is an investment management company known for having very low fees compared to competitors, especially on its index funds. In 2016, close to 60 percent of Vanguard plans offered an index core giving you access to broadly diversified index funds for U.S. stocks. In truth, you can do just as well with other index funds tracking the S&P 500, such as the Fidelity 500 Index Investor [Nasdaq: FUSEX] and the Northern Stock Index [Nasdaq: NOSIX]. In the event, that you don't have access to a low-cost index fund tracking the S&P 500 through your workplace 401(k), you have two action items. First, see if your plan offers another large cap index fund (one investing in large U.S. companies based on a market index). This type of fund normally invests at least 80 percent of its assets in securities within its benchmark index, such as the Fidelity Large Cap Stock Fund [Nasdaq: FLCSX] and the Vanguard U.S. Growth Fund [Nasdaq: VWUSX]. Second, contact your plan administrator and request adding a low-cost S&P 500 index fund. Just like there are index funds for investing in equities, there are also index funds for investing in bonds. For example, there is the Vanguard Short-Term Investment-Grade Fund [Nasdaq: VSFTX], which has an annual expense ratio of 0.20 percent, or $10 in fees for a balance of $5,000. Don't have access to such a fund? Look for a low-cost fund giving you the most exposure to high- and medium-quality, investment-grade bonds with short-term maturities, including corporate bonds, pooled consumer loans, and U.S. government bonds. Why short-term maturities? Short-term bonds tend to have low risk and low yields, ensuring that one portion of your nest egg remains stable at all times — something you'll really benefit from during any recessions. Then, request that your plan administrator add a low-cost index fund for domestic bonds. Exchange your entire 401(k) balance and allocate 90 percent of that amount to the equities index fund and 10 percent to the bonds index fund. Confirm your transaction. 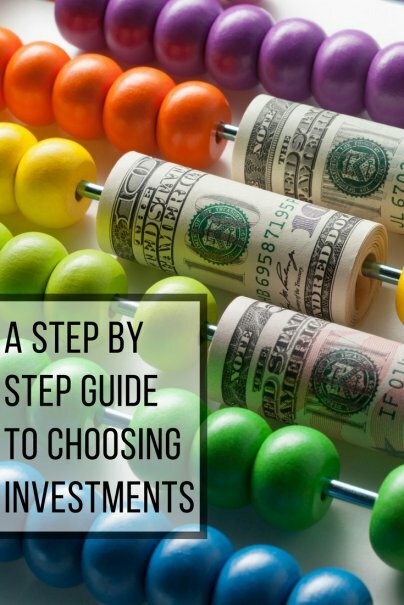 To keep future contributions going into the right place, adjust your paycheck investment mix so that 90 percent of withholdings go to the equities index fund and 10 percent go into the bonds index fund. If your 401(k) offers an automatic rebalance feature, opt-in for it so that your portfolio is automatically readjusted to the 90/10 without you moving a finger. If your 401(k) doesn't offer that feature, plan to manually rebalance your account once a year. Marriage. Birth of your first child. Purchase of your first home. Being able to start making catch-up contributions. Reaching age 59 1/2. These and more critical milestones in your life may require you to adjust your 90/10 allocation. As you get closer to retirement age, you should gradually shift from a growth strategy (selecting funds that exhibit signs of above-average growth) to an income strategy (picking funds that provide a steady stream of income) so that you hold fewer stocks and more bonds. The beauty of a target-date fund is that is does all of this for you automatically as you age. Without one, you'll need to stay on top of this occasional rebalancing yourself. One of the main reasons that your 401(k) will perform better is that you're minimizing fees. If you were to allocate 90 percent of a $5,000 401(k) balance into the Vanguard 500 Index Investor Shares Fund [Nasdaq: VFINX] and 10 percent into the Vanguard Short-Term Investment-Grade Fund [Nasdaq: VSFTX], you would just pay $7.30 in annual fees. That's $43.70 in annual savings over putting the entire $5,000 in a target-date fund with a 1.02 percent annual expense ratio. It doesn't sound like a large amount of savings, but compounded over the years it can add up to thousands of dollars more in your retirement fund.